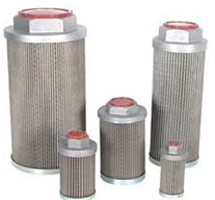 We are primarily engaged in manufacturing and supplying Suction Strainer in India. Our Industrial Suction Strainers are suitable for all types of liquid filtration needs and are also used for installation in the suction ports of the pump or submerged in the reservoir. 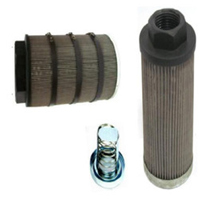 It is perfect solution for filtering fluids and defends the equipment from getting clogged and prevents break-down. Clients can avail from us best range of Suction Strainer as per their customized specifications at rock bottom prices. Our company is a chief manufacturer of Industrial Strainers to clients across globe. Industrial Suction Strainers removes particles at the source and are suitable for low flow rate application. These strainers can handle temperatures up to 250°F. Clients can get industrial strainers due to its unique design, exceptional quality, durability and economic price. 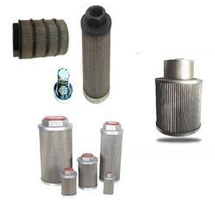 We are in the field of manufacturing Sump Strainer and Suction Strainer Steel Nut since its establishment. These are widely used in diverse industrial applications and are highly reckoned among our clients due to their trouble free performance. We are reputed manufacturer and exporter of Suction Strainer with Aluminum Die Cast Nuts made from superlative quality of Aluminum material. It consists of bypass valve to eliminate the high pressure drops caused by contaminated elements or high viscosity fluids. All our Industrial Suction Strainers are appreciated by the esteemed clients for its effective functioning. Fluden Engineers is a chief manufacturer and supplier of Big Suction Strainers. 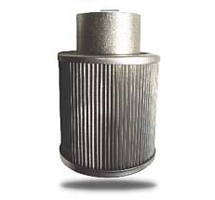 Our range of Suction Strainer is used to protect the pump from large particles found in the reservoir. These are supplied with M. S. and aluminum caps. 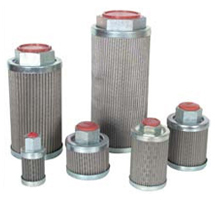 Our strainers ate widely applicable in varied areas like Engines, Heat Exchangers, Fire Fighting Systems, R.O. Plants, Turbines etc. We have carved a niche for ourselves as a best Suction Strainers Manufacturers made from quality raw material. Suction Strainers NSS are highly admired by the clients for its distinctive design and durability.